I want you to know who I really am. 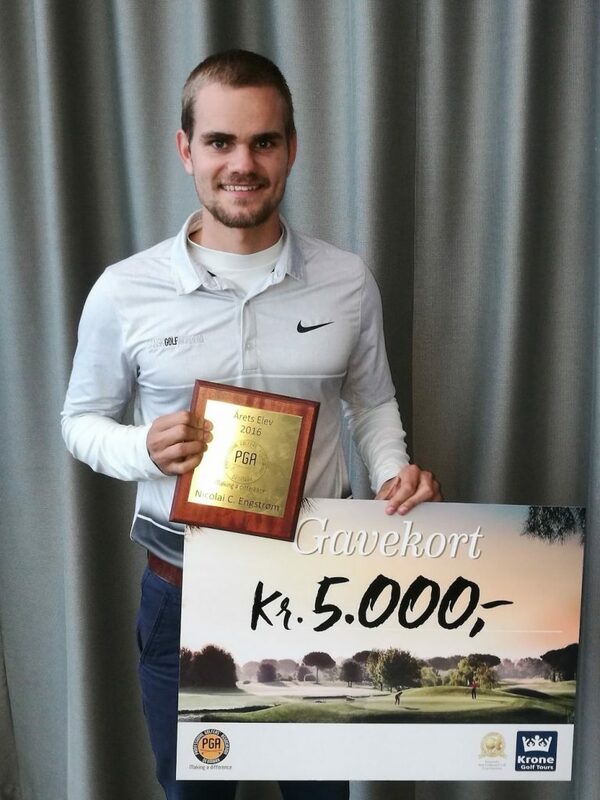 I went from being a national team player and Danish Junior Champion, to becoming a third-level tour Professional, on to quitting golf for 6 month and studying math, to finally finding my spot as a teaching pro. 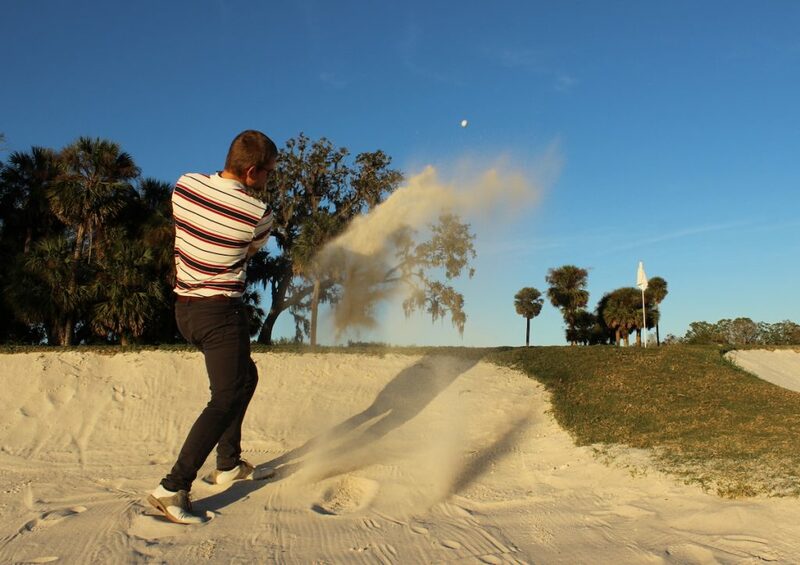 Today I help players of all levels, from beginners to Tour Pros, improve their Short Game. I´m blessed with were I ended up but the road was bumpy and filled with unexpected events. By the time I was six years old, I asked my farther if we could start playing golf. 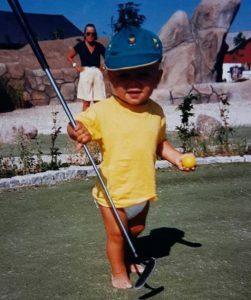 My kindergarten was located just besides the driving range of Helsingoer Golf Club, and I spent many days watching the players practice their swings. My farther was up for the challenge, and during the summer we started playing together. My farther and I started playing in Hornbaek Golf Club. Both my sister and mother joined the sport later on. In 2003 we moved to Helsingoer Golf Club where I spent most of my junior years. The club had a good junior program, and I became better and better. 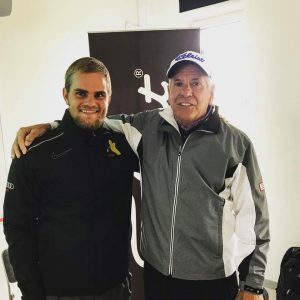 My current boss Peter Thomsen, founder of Danish Golf Academy and co-founder of Danish Junior Golf Academy, recruited me in 2006 to join his junior development program. 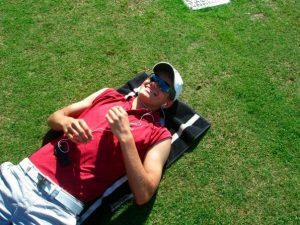 This was when I really realized what golf practice and hard work was. It learned so many good things at the Academy and my development as a player continued with solid speed. In 2009 I was elected to the Danish National Team. I was a great honor to represent the Danish colors. I started of in what is called the “observation” squad, and later on I was moved to the A-team. 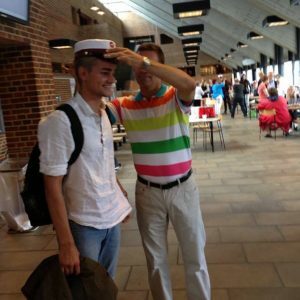 In 2010 I decided to move away from my family and friends north of Copenhagen, to the other side of Denmark, to join a college (the same as high-school in the US) were golf and school would work hand in hand together. The place is called Ikast-Brande Sportstar College and is located in the middle of Jutland in Denmark. It’s a solid 4,5 hour ride to the other site of the country, and I remember being very excited, but also very nervous the first day at arrival. 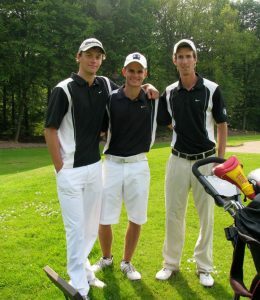 I quickly found my spot in both the golf and school program, and I really enjoyed being a part of a very unique environment. Halfway through the second year of my high school education I started thinking about what should happen afterwards. I’ve had a little dream about going to the US and join a college team, again in order to combine golf and education. This was the plan until I ended the third year of high school. But it didn’t really work out that way. I did the SAT Test, and had contact to several colleges who was interested. Though I had some issue with the NCAA approval and suddenly the time was running away from me. I decide to skip my dream of playing college golf. 2010 and 2011 had golfing vise not been the best. I was working hard in school to keep up whit the many assignments, and also doing the best at practice. I had a few fine results but no big results. 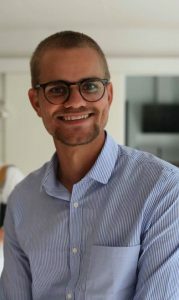 This lead to not being selected to the team, which was representing Denmark in the European Championship, both in 2010 and 2011. It had been a dream for quite a few years to play at this event, and therefore it was though to look from the site. I told myself to trust the process, and believe in the long-term goals, even though it wasn’t that fun. 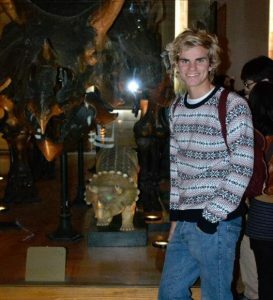 In 2012 a major breakthrough happened for me. 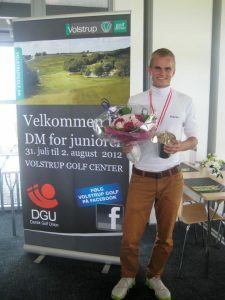 I had my first win, and it happen at the Danish Junior Championship. 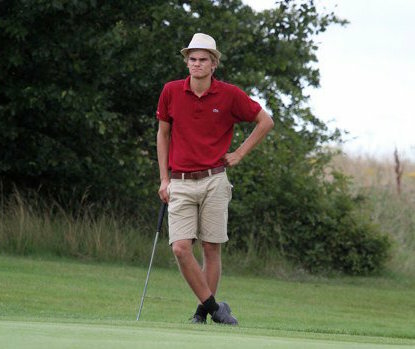 After being last man to past the 36 holes strokeplay qualification, I took victories in 1/8 final, ¼ finals and ½ finals. In the final I met one of my really good friends Jeppe Andersen, who now plays professionally. With a birdie on the 2nd playoff hole I took the win, and it was a major relief for me to see that my game could stand up against the best juniors in the country, and under very high pressure. In 2013 I graduated from Ikast-Brande Gymnasium. I’ve made it through 3 tough years with both school and golf as high priority. I came out with a very solid grade-average, which I was very proud of having achieved. After ending my high-school education I went back home and lived with my family. I played almost full time golf, and had a side job on the local McDonalds. In the fall season of 2014 I played the Q-School for the Ecco Tour, a third level tour located in Scandinavian. I ended up with a fine result, which gave me access to all Ecco Tour events the following year. In the start of 2015, after many speculations about the future, I decided, to turn pro. Wasn’t that a bit early? I just finished of my high school, and was only 19 years old. But the truth was, I was planning to play a full year on the Ecco Tour, and why wouldn’t I give myself a chance to win some money as pro, instead of playing as an amateur and only have costs by doing so? In the first half of the 2015 season I played the Ecco Tour. The prize moneys aren’t great, and the expenses can quickly rise to a relative high level. My game wasn’t performing at its best in tournaments, and I missed the 4 first cuts. The answer was simple, and jet forever complicated. 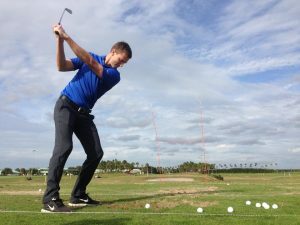 I’ve spend most of my life preparing to become a professional golfer, and when I was suddenly there, it was so much different than I had imagined. The 20-year-old boy had suddenly become completely lost in what his future was going to look like. In the second half of 2015 and in the beginning of 2016, I didn’t play golf at all. I spend my time working at a McDonalds, and studying Math. My plan was to enter a Building Design bachelor program, and for that I needed math at a higher level than what I had. It was a fine time, I enjoyed studying and working, but it was very wired not to play golf at all. Aaaaand, she was right. It was a strange felling not to have the game that I had loved that much as a part of me anymore. In the following days I did a lot of thinking. A lot. And I couldn’t deny the fellings that the question from my girlfriend had brought along. “Off cause, you are more than welcome! Actually, I am currently looking for a PGA Teaching Pro student at one at our facilities. Wouldn’t that be something for you? And suddenly my world changed upside down. After a few hours of thinking, I texted him back, and said yes to the offer. The DGA team is known as one of, if not the strongest coaching teams in the country. And my many years as a student of Peter had build up a strong relationship to what DGA and DJGA stands for. Simply, it was an offer I couldn’t say no to. 2016-2017 – Learn, learn learn. In the following years I started as a student in DGA. My daily doing was in Frederikssund Golf Club, and during the winter in Indoor Golf Kokkedal. I was lucky to have an awesome caching team to learn from, with Andreas Kali, Carina Vagner, and Peter Thomsen as my mentors. Each of them has taught me a bunch of important things, and without them, what I am doing today wouldn’t have been possible. 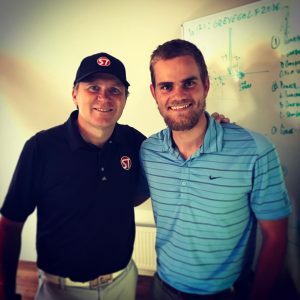 During my time as a student I attended the Danish PGA Program. 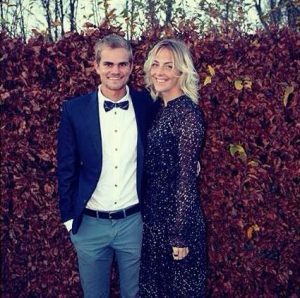 I enjoyed meeting new friends and colleagues, and in 2017 I was elected to be the “Student of the year” in PGA Denmark. I was a great honor for me. 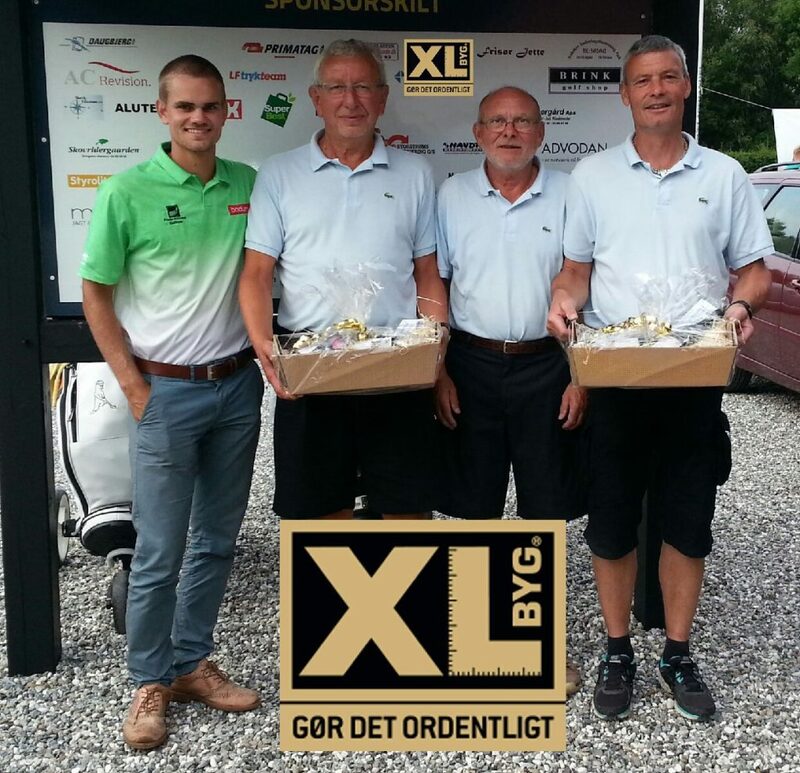 The Danish PGA degree is both a golf education, and also a sales/economics education. 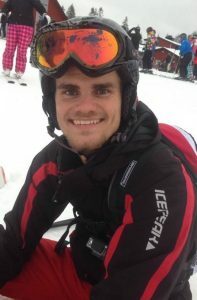 After the first 2 years as a student, I felt that I wanted more as a coach than just being a club professional. I decide to dive into the art of the Short Game. I consulted with my boss and he supported me all the way. I’ve spent endless hours researching, developing, investigating, reading and studying the Short Game, and I still do every week. 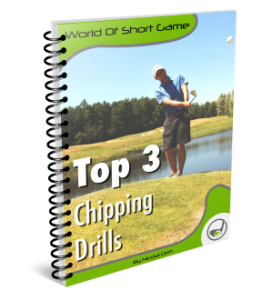 The areas of the Short Game that you can dive into are many, and I still fell like a have so much more to learn. At a training camp in US in 2008/2009, a now very good friend of mine, Thomas Poulsen who is now head coach for the Danish Women’s Team, asked me what I would do if I wasn’t to play golf. My answer to him was, that I actually liked the idea about being a specialized coach, and that I would probably be in the Short Game. Today – Helping players of all levels. Today, I help players of almost every level. From the LPGA Tour, European Challenge Tour, The Nordic League, to national team players, talented juniors, everyday amateur players and beginners. I enjoy working with every one of them! Remember, fell free to write to me with any questions, or if you would like to share your story with me.